' in my world, Elves are big - ergo big Elf stockings - Sisters, What! Here is the finished stocking; a big stocking for our little elf. 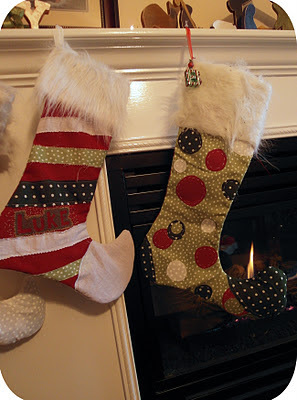 I made it to match the two stockings that I had made for the hubby and I a few years ago. While we're visiting the mantle area, I just have to show you this nativity we did for my church's Super Saturday craft day. The original one was all black (you can find the pattern HERE), but I decided to do mine in color and I'm so glad I did. They are wooden and the perfect nativity for Luke and our future children to play with. Very cute. 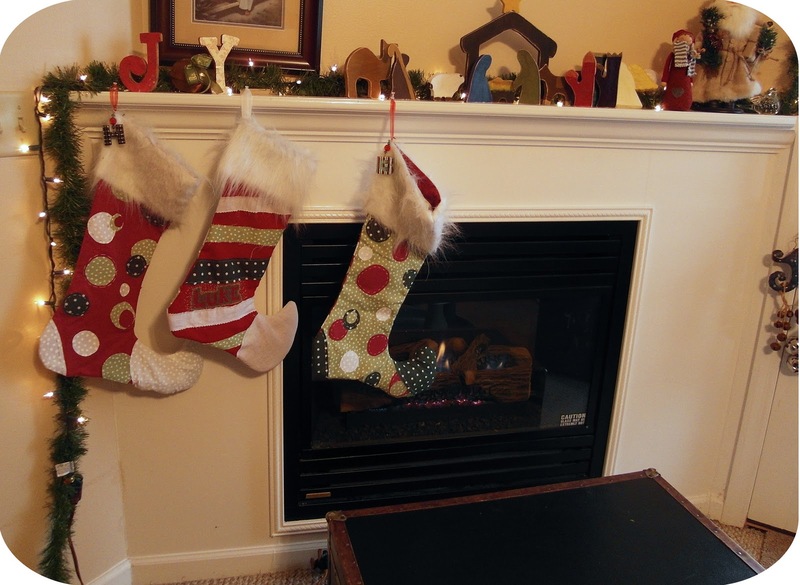 Those are some big stocking to fill...really like the nativity. Reminds me of mom's wooden one. So impressed with the stitching! 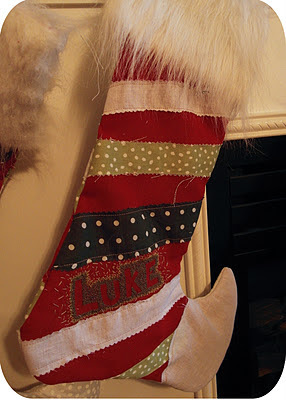 Looks like you guys are getting extra the goodies this year...and by you guys I mean you and Brigg since you'll eat all of Luke's spoils. Those stockings would be so fun to fill! They are super cute. Thanks for linking to my Wednesday Pinterest Favorites!